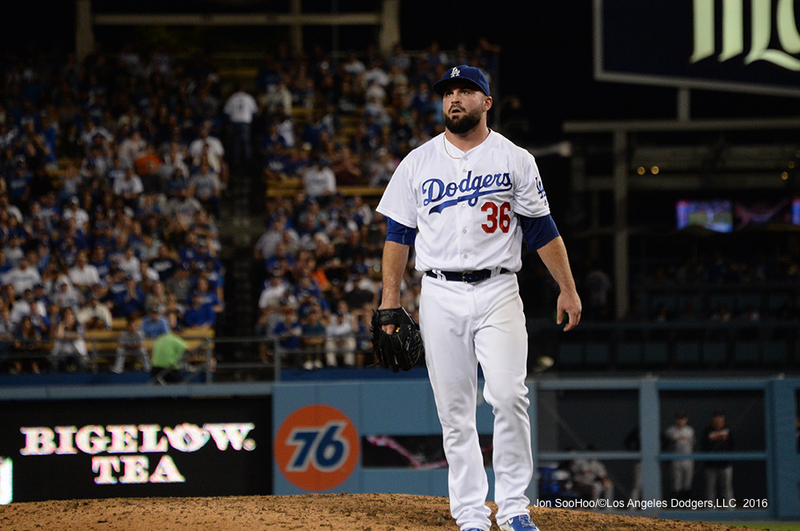 Adam Liberatore, who had a 0.85 WHIP and 0.61 ERA before the All-Star Break but 1.95 WHIP and 9.45 ERA after, is expected to undergo an arthroscopic left elbow debridement Tuesday, which should allow him to return for the 2017 season. Dr. Neal ElAttrache will perform the operation in Los Angeles on Liberatore, who set a franchise record July 9 with his 24th consecutive scoreless appearance. 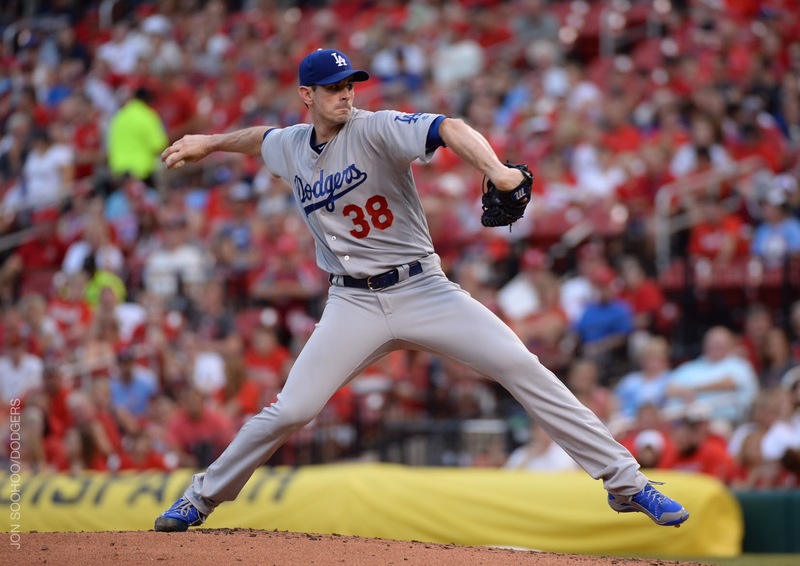 Alex Wood recently returned to action after a similar procedure in July. Liberatore was placed on the disabled list August 3 (retroactive to July 30), and pitched 9 1/3 innings in 14 games thereafter with a 9.64 ERA and 18 baserunners. The best part of tonight’s game at Colorado for the Dodgers is that Corey Seager didn’t appear to be seriously hurt by either of the two pitches that hit him. Dodgers at Reds, 4:10 p.m. Bud Norris and Adam Liberatore have been activated from the disabled list by the Dodgers, who optioned Ross Stripling and Casey Fien to Triple-A Oklahoma City. 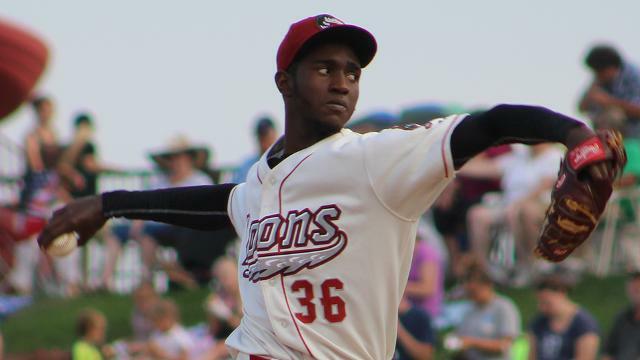 Norris, who is starting tonight, has a 4.34 ERA in seven games (six starts) for the Dodgers, including his most recent appearance July 31, when he left after facing two batters. Clayton Kershaw is expected to meet the Dodgers in Cincinnati, where he will throw off flat ground Friday with a tentative bullpen session scheduled for Saturday. Bud Norris remains scheduled to be activated from the disabled list Friday, with Brett Anderson starting Saturday. Lefty reliever Adam Liberatore is expected to be activated from the disabled list Friday as well, meaning the Dodgers would have to make two roster moves in the next 24 hours. Kenta Maeda, whose next turn in the rotation would be Sunday, might get extra rest, with the Dodgers turning to an in-house spot starter in that case. Rich Hill is pitching a simulated game at Camelback Ranch tonight. Hyun-Jin Ryu is rehabbing but has not picked up a baseball. 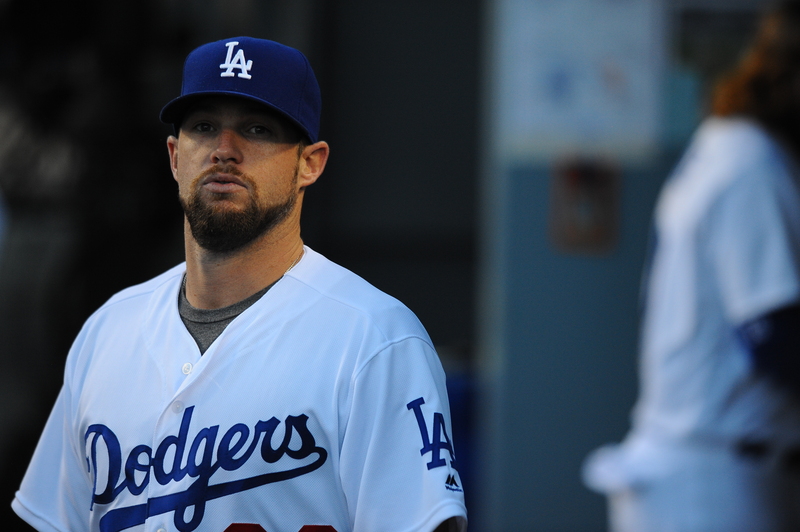 He is not expected to return for the Dodgers in 2016. Pirates at Dodgers, 1:05 p.m. Note: Justin Turner has been scratched with a right-hand contusion, replaced by Rob Segedin at third base. 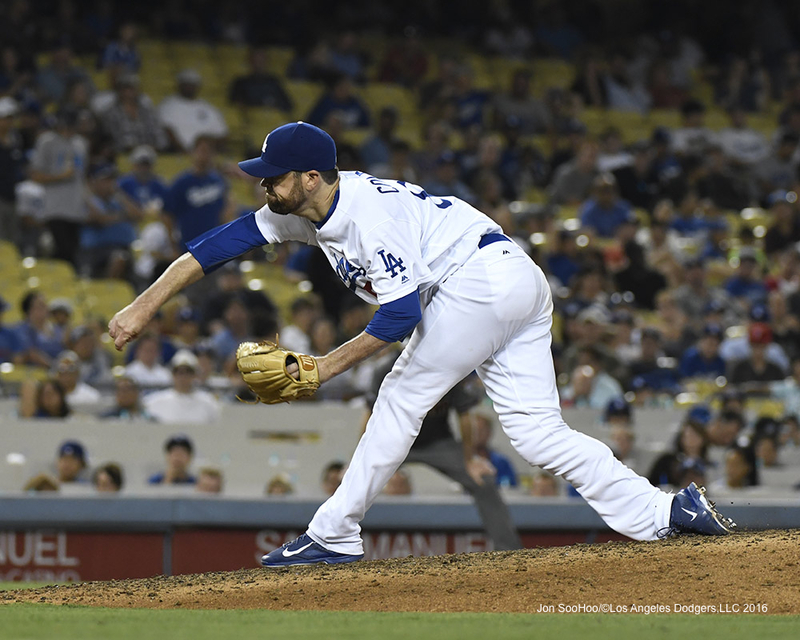 Today: Brandon McCarthy starts on five days’ rest. (A.J. Ellis, making his third start since July 28, will catch.) Bud Norris will make a rehab start of approximately 75 pitches for Single-A Rancho Cucamonga. Sunday: Brett Anderson makes his 2016 debut. 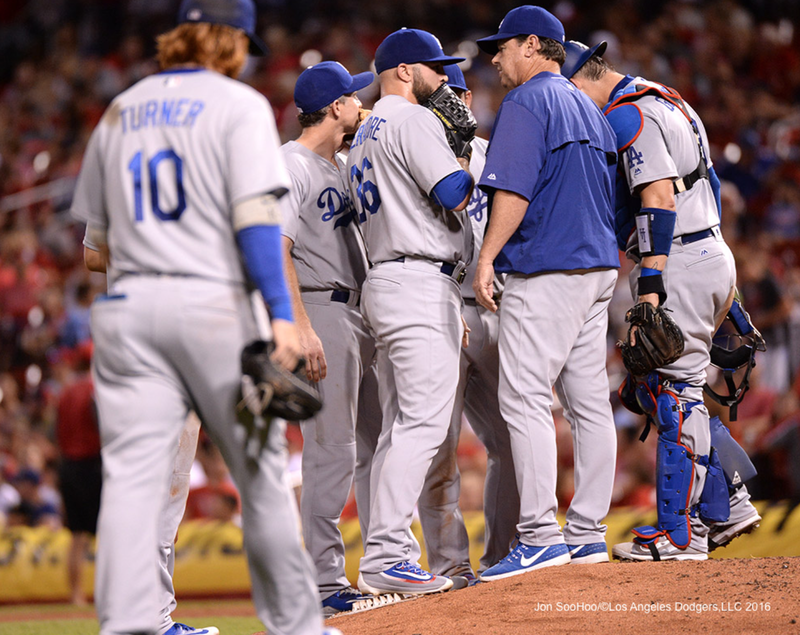 At Rancho, reliever Adam Liberatore is scheduled for a rehab outing. Monday: While the Dodgers have a travel day, Rich Hill is likely to have a rehab start with Triple-A Oklahoma City. Tuesday: Kenta Maeda starts the series opener in Philadelphia on six days’ rest, with Liberatore rehabbing again for Rancho. 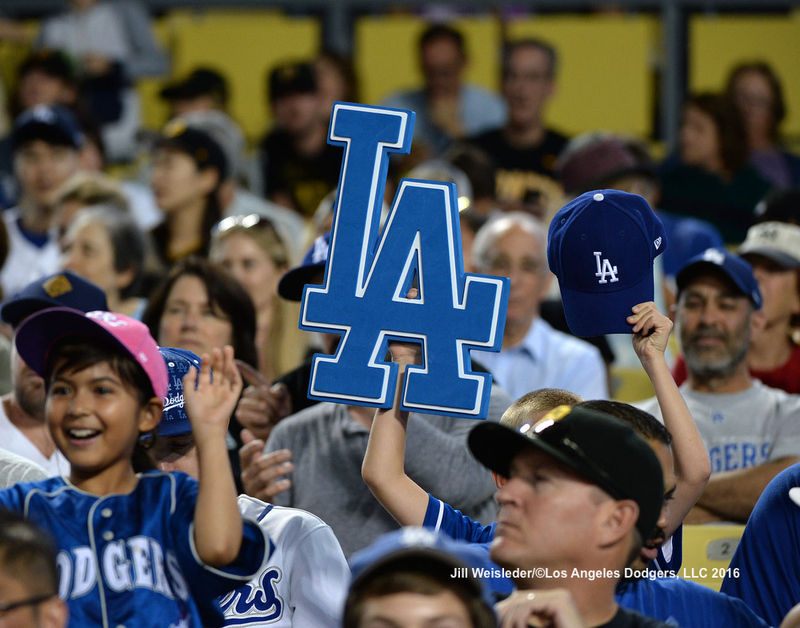 Wednesday: Scott Kazmir starts, also on six days’ rest. Thursday: This would be Ross Stripling’s turn, but according to what Roberts said today, Stripling will be available in long relief. McCarthy or Norris might make the start. Over the next several days, pitchers that could be optioned to make room for Anderson, Norris and Liberatore include Urias, Stripling, Grant Dayton, Josh Fields and Josh Ravin. 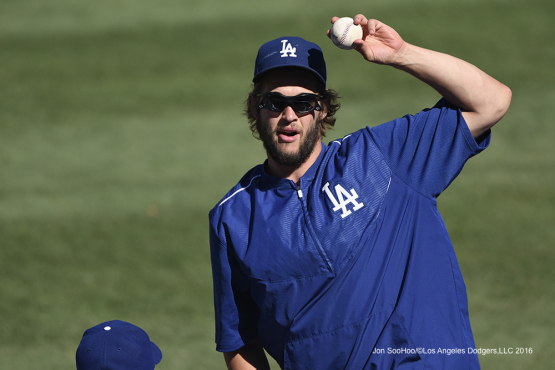 A flurry of moves have been made by the Dodgers before tonight’s game in Colorado. Louis Coleman (right shoulder fatigue) and Adam Liberatore (left elbow inflammation) have been placed on the disabled list. For Liberatore, the transaction is retroactive to July 30. Joining the Dodgers from Triple-A Oklahoma City are pitchers Julio Urías and newly acquired Josh Fields. In addition, outfielder Andrew Toles has been optioned to Oklahoma City to make room for tonight’s starting pitcher, Brock Stewart. On July 23, the Dodgers could use a July 10 Kenta Maeda. 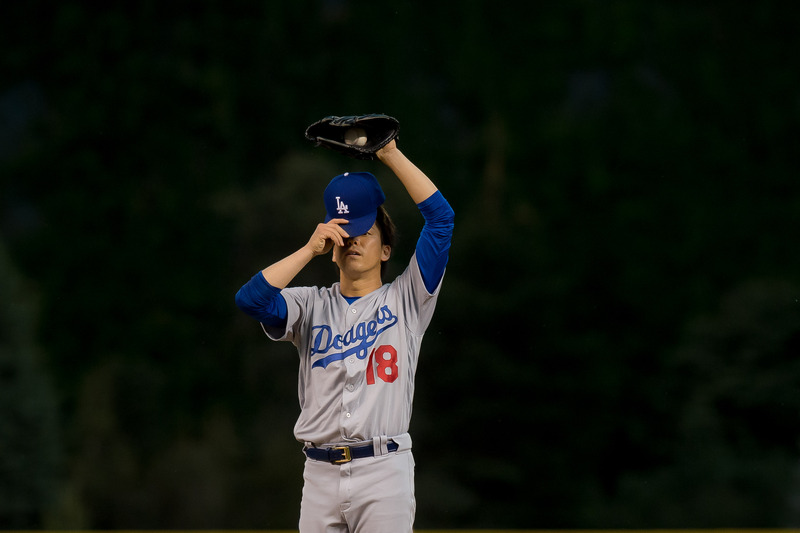 Maeda went seven innings on July 10 against the San Diego Padres — one of just two times this month when a Dodger starter has completed seven innings (the other being Scott Kazmir’s seven innings on Tuesday). Today’s callup of Ross Stripling gives a gassed bullpen a much needed long man. Since the All-Star Break, the Dodgers are third in baseball in relief innings — 31 2/3. The last two games, the Dodgers made 15 trips to the bullpen — using seven relievers in Washington on Thursday and eight in last night’s 16-inning 4-3 loss in St. Louis, including starter Bud Norris for 1 1/3 innings. We started this week with streaks and enter the weekend on the same topic. Justin Turner has hit home runs in consecutive games. His ninth-inning solo homer gave the Dodgers a 3-2 lead against the Cardinals on Friday in St. Louis. That was before the Cardinals tied the score in the bottom of the ninth with a Jedd Gyorko solo home run and won the game 4-3 in the 16th with a Matt Adams walk-off homer.